Intel’s Xeon Phi coprocessor presents a manycore architecture that is superficially similar to a standard multicore SMP. Xeon Phi can be programmed using the OpenMP standard for shared-memory parallelism. We investigate the performance and optimisation of two real-world scientific codes, parallelised with OpenMP and accelerated on Xeon Phi, and compare with a conventional CPU architecture. 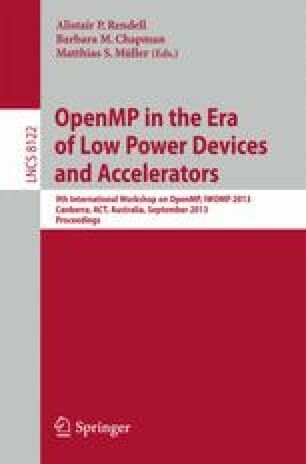 We conclude that Xeon Phi offers the potential of significant speedup compared to conventional CPU architectures, much of which is attainable through the use of OpenMP.